NEODESHA, Kan. (AP) — A Kansas man has been sentenced to more than 19 years in prison for a 2016 death in Neodesha. 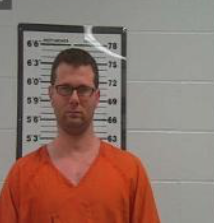 The Kansas Attorney General’s office says 37-year-old DeJay Lynn Schlegel, of Neodesha, was sentenced Wednesday in the December 2016 death of Michael Elam. Schlegel pleaded no contest in May to second-degree murder, arson, interference with law enforcement and theft. Elam was found dead inside his home after it burned down. Investigators say Schlegel and his girlfriend, 25-year-old Hayley Hurst, broke into Elam’s home. Hurst has pleaded not guilty to second-degree murder and theft.